Huge interest in our new GeoDrone! The recently aired Guideline Geo GeoDrone project has caused an enormous interest from the market, media and the GPR community. 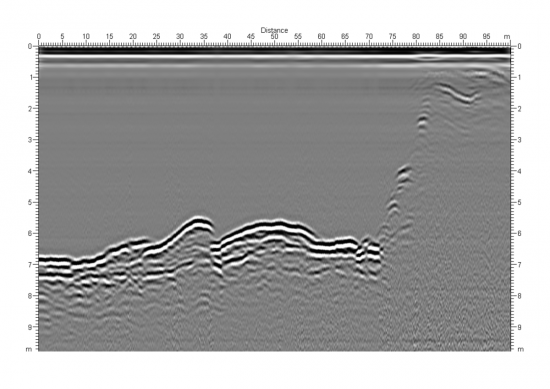 By combining modern drone technology with newly developed MALÅ ground penetrating radar systems, Guideline Geo has developed a solution that has the ability to map the sub-surface or analyze bodies of water in areas where it is difficult or risky to make measurements manually. The GeoDrone has been developed in close cooperation with the United States Geological Survey (USGS), mainly for investigations in connection with severe flooding and hurricanes. This is an important step in showing use and benefits where society can gain from technical solutions that wouldn’t be possible otherwise. With advances in UAV technologies during later years, the market interest for drone equipped geophysical surveys has increased tremendously and Guideline Geo wants to stress that with this comes also great responsibility. As a leading manufacturer of near-surface geophysical equipment we would like to emphasize the need to take measures, educate users and to follow procedures and regulations. The image below shows data collected by the GeoDrone during our test flight over a river crossing nearby Guideline Geo’s Research & Development facility outside Umeå, Sweden.